Who doesn’t want to experience more happiness in their lives? Ironically, science has shown that the very things most people believe will bring them more happiness, and spend so much time striving towards – more money, higher ranking careers, more possessions, etc. – don’t lead to the happiness jackpot after all. Psychology research has shown that the more-you-have-the-more-you-want adage is real, because humans are just so good at continuously adapting to changes in their lives. While that new car or new promotion may bring on a momentary boost of happiness, your brain quickly adapts to your new situation, causing your happiness meter to fall right back down to its baseline again and for you to be left looking for your next hit. So how does one break out of this happiness adaptation rut? If our brains are really wired to emotionally neutralize us to our environment, than so begs the age-old question – what is the secret to achieving a true inner happiness that will actually last? Science has taken the realm of happiness into its own hands, not only proving that some of the most ancient happiness proverbs had it right all along, but also discovering some new and rather surprising strategies for fostering a stable and sustainable sense of happiness in our everyday lives. If human adaptation programming stamps out happiness by constantly causing us to get used to what we have and take it all for granted, than doing the opposite – consciously trying to foster gratitude and appreciation for what you have – should have the opposite effect, says psychology professor Sonja Lyubomirsky of University of California. Studies have shown that people who regularly set aside daily time for thankfulness prayers, “counting their blessings”, keeping a gratitude journal or other methods of taking account of what one has or doesn’t want to lose, report more daily happiness than people who do not engage in these kinds of gratitude practices. When subjects were told to say “thank you” to other people as often as they could throughout the course of their day, they reported much higher levels of happiness compared to when they were asked to refrain from verbally thanking anyone at all throughout the day. Because you are working against your natural inclination to take things for granted, Professor Lyubomirsky warns that people must take an active approach to acknowledging feelings of gratitude and appreciation every day, setting aside specific daily times for reflection and appreciation exercises, consciously incorporating practices of appreciation into your daily routine, constantly exposing oneself to sources of gratitude inspiration and reminders, finding ways to express grateful thoughts into gratitude actions, etc. Like physical exercise, if your gratitude muscles aren’t constantly trained and worked out, they atrophy and your levels of happiness decline. While the prospect of having more money brings on a temporary jolt of happiness for most people, psychology professor Elizabeth Dunn’s research has shown that happiness levels are far more elevated for a longer period of time when you spend that money on someone else – even if you didn’t really want to at first. Dunn handed out money to students on campus and randomly asked half of them to spend it on themselves while asking the other half to spend it on others. Those that spent their money on others showed greater levels of happiness than those that treated themselves. She repeated similar studies on larger scales in other countries throughout the world. Surprisingly, whether people gave away money that they were given for free or money that they had earned themselves, or whether the study involved wealthier subjects or subjects who were struggling just to meet their own basic needs, Dunn consistently found that people’s level of happiness increased significantly when they gave their own money away to someone else. Moreover, Dunn reported that the amount of money given away did not have as strong of an effect on happiness as the perceived impact of one’s donation. When you give something to someone else and you get to actually see how your giving made a difference in someone’s life, it will make you happier – even if the amount you gave was relatively meager. Humans are social animals, which is why social psychology states that we all have hard-wired desires to feel part of “the team” and to avoid feelings of rejection, isolation and loneliness. According to this theory, a stable sense of peace and happiness is achieved when we feel a sense of belonging with others. Psychiatrist Michael Schipster, M.D, Ph.D., believes that this basic social wiring is at the root of why people with low self-esteem – who believe that they are less valuable than others and will therefore be rejected by society – are so prone to depression. And ironically, this is also why people with an “over-inflated” self-esteem – who believe that they are inherently better than others – are similarly prone to depression, as this can also create a feeling of being separate from others. But as each of us is truly unique, and therefor different from everyone else around us, how can anyone really feel like they “fit in” and experience the happiness that comes from the fulfillment of this basic genetic need? Schipster says that the key to achieving this true sense of social acceptance is humility. While “being humble” is often defined as believing oneself to be inferior to others, Schipster defines humility as a more balanced and objective understanding of where one fits within a larger society and what one can contribute to it. This is why being humble requires you to truthfully acknowledge your personal flaws and weaknesses. However, to be truly humble, Schipster says you must also acknowledge what your strengths and abilities are as well. Understanding that you are a unique combination of both strengths and weaknesses – and, taking it to the next logical step, understanding that everyone else is also a unique combination of both strengths and weaknesses – allows you to create an identity for yourself that is neither less nor more valuable than others around you. Humility levels the playing field between you and others, and makes it clear that each of us has a different but equally important role to play in a larger social network. This leads to a functional sense of belonging – rather than needing to feel the same as everyone else in order to have a sense of acceptance, humility leads to a sense of acceptance from being unique, a special cog in a larger machine that fits perfectly into a grander social framework. Humility allows you to feel special precisely because you are both flawed and polished, and to understand that everyone around you is equally special because they are also both flawed and polished. Being humble removes the hierarchy that mentally and emotionally separates people, fostering a sense of acceptance, security and happiness. As physical objects last longer than fleeting experiences, it’s pretty logical to assume that investing in things instead of activities will make us feel happier for a longer amount of time. However, a group of psychological studies found that the opposite, in fact, is true. 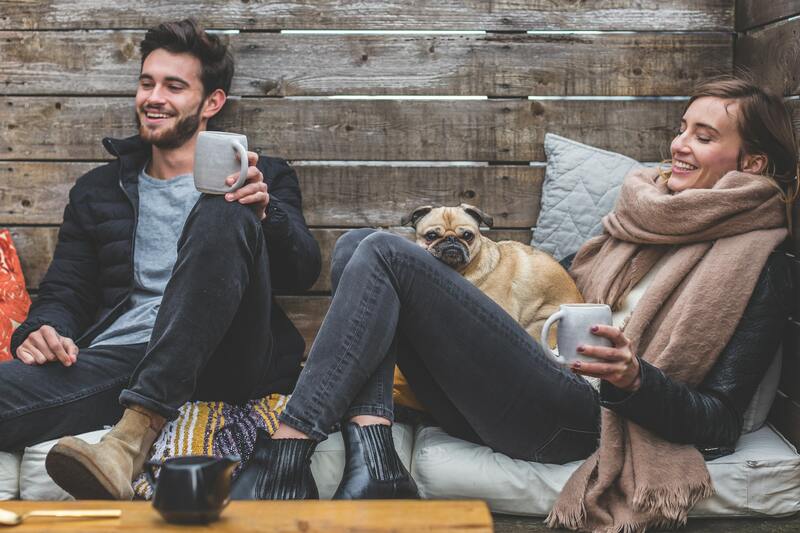 Owing once again to the adaptation effect that seems to inoculate happiness, studies have shown that people quickly get used to the things they own, and they soon stop experiencing happiness from them. Oddly though, experiences seem to have the opposite effect on people’s happiness – research subjects actually demonstrate an increase in the amount of happiness that they gain from their experiences as more time goes by. Dr. Thomas Gilovich, Cornell University psychology professor, attributes this interesting happiness paradox to the fact that objects always remain outside of you, whereas experiences integrate themselves into your memories and life stories. Thereby, experiences actually become a part of you, inextricably connected to your identity, how you see yourself, and how you relate to others. In his research, Gilovich even found that experiences that people identified as negative at first came to eventually be viewed as more positive and happiness-increasing after some time had passed. With time, reflection and talking about it, many people came to describe these experiences as significant in some way, character-building or even amusing. Gilovich also notes that experiences – both by having them and by talking about them afterwards – foster more relationship building and social connection between people than objects do. This adds yet another dimension of happiness to them, as shared experience feeds our social psychological needs to feel close with others, to be a part of a group, and to feel secure through social acceptance. While the pursuit of happiness may seem like a selfish endeavor, scientific research has shown that the attainment of sustainable happiness can only really come through selflessness. It’s tempting to abandon old nursery school lessons of saying “thank you,” sharing, cooperation and joining in, in favor of making more money, climbing the corporate ladder, acquiring more stuff and competing with the Joneses. And yet, the research suggests that, after all is said and done, happiness can only be achieved from travelling the full circuit — not because of where you arrive, but because of who you become as you travel, what you appreciated as you make the journey, and ultimately, for saying “thank you” that you get to ride.